The DiR Foundation was established in 1995 in Barcelona when the DiR Group, which founded their first club in the city in 1979, felt that the time was right to formalise the group’s contribution to society and the positive effects of this contribution for the company by setting up a foundation to channel and implement the group’s social responsibility activities. DiR has led the way in Barcelona in promoting sport and a healthy lifestyle, offering the latest innovations in fitness, well-being and health. 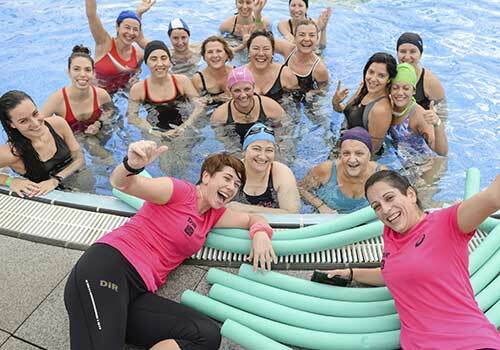 With more than 30 years of experience and more than 75,000 members, the group currently boasts more than 20 health clubs in Barcelona and one in Sant Cugat del Vallès. The mission of the DiR Foundation is to raise awareness of the value of sport in terms of both its health benefits and as a tool for social cohesion, and to guide society towards healthier lifestyles. It does so by undertaking and supporting initiatives that, through sport, help to improve people’s quality of life, providing the tools to make society more active, dynamic and caring. Our vision it to become the leading organisation in conveying and disseminating the value of sport in terms of both its health benefits and as a tool for social cohesion. The experience and prestige accrued by the DiR Group in the world of sport over more than 30 years underpin the Foundation’s mission as it is socially grounded on experience, knowledge and solidarity for the improvement of people’s quality of life. Leading the way in the promotion of the value of sport in terms of both its health benefits and as a tool for social cohesion. Organising activities on the principle of equality of opportunity and solidarity. Bringing the value of sport closer to groups at risk of social exclusion and to the most vulnerable in our society. Promoting sport as a vehicle for developing healthier lifestyles, both in terms of physical exercise and nutrition, and taking up the fight against a sedentary lifestyle, particularly in children. Raising awareness and disseminating information pertaining to sport and health, based on the firm belief in the social role that sport can play in improving people’s quality of life. Conducting training and research initiatives, creating a meeting point by organising talks, round-table meetings and training programmes. Initiatives to disseminate the value of sport to encourage healthier lifestyles. Projects to encourage the social integration and cohesion of the most vulnerable in our society or those at risk of social exclusion. Strategic alliances and partnerships as one of the Foundation’s pillars of sustainability. Sporting challenges for good causes. Year-long projects consistent with our mission. Project that aims to prevent and raise awareness of breast cancer, focussing on the importance of physical activity and nutrition for prevention and improved quality of life. 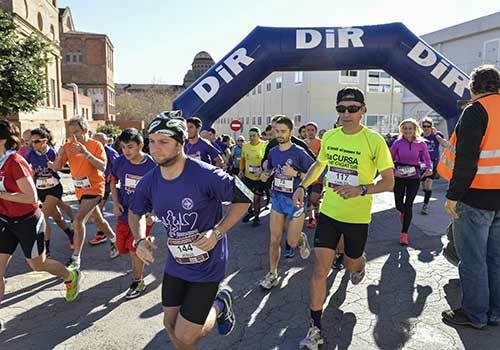 The DiR Foundation and the Hospital de Sant Pau i la Santa Creu organise this run to further understanding of the effects of sport on health and to raise awareness of the importance of doing exercise. 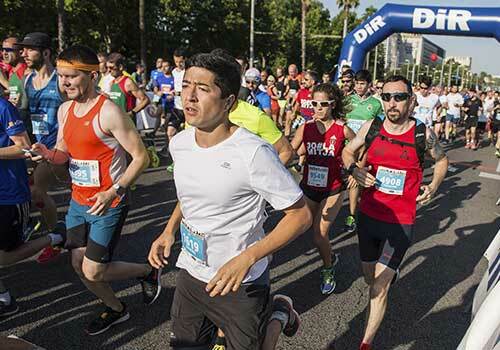 Joint initiative with the Hotel W Barcelona and the participation of some 1,500 people at each event to raise money for TV3 2018 La Marató. En què et podem ajudar? Personal?Corporate?